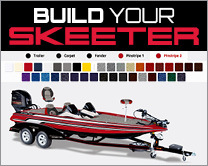 Purchase and/or own any new or used Skeeter, powered by Yamaha, from a Skeeter dealer or private party. 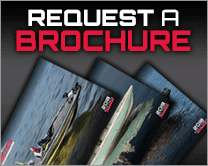 Visit your local, authorized Skeeter dealership to obtain a registration form, download a form at www.skeeterboats.com, or simply register online! You must register for the Real Money Program to be eligible. 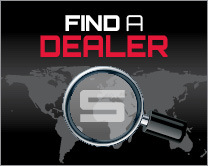 If you acquire a different Skeeter boat after you are registered, please contact Skeeter to change the serial number to your registration by calling (903) 983-5657 or emailing marketing@skeeterboats.com. Complimentary boat inspection at selected events. Win in a Contingency Paying Event (as listed on the Skeeter Boats Website and defined in the Rules and Conditions). A list of Contingency Paying Events is posted on our website. The schedule of Contingency Paying Event dates is compiled in late winter and updated periodically on our website. Contingency Paying Events are subject to change without notice. Payments will be made once Skeeter receives and approves “official” tournament results from you and all rules and conditions have been met. To be eligible for incentives, you must register prior to participating in a Contingency Paying Event. Angler may win up to three (3) times per calendar year. 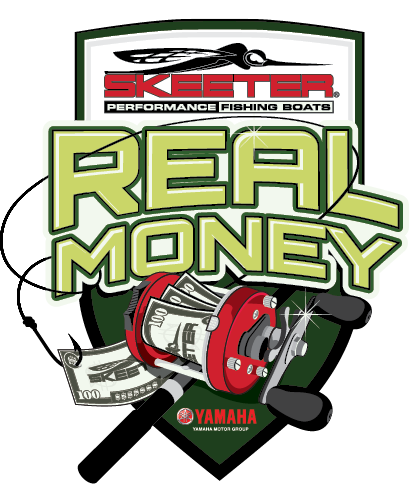 The purpose of the Skeeter Boat’s 2019 Real Money program is to reward Skeeter/Yamaha owners, which means Real Money for you. For decades, Skeeter anglers have enjoyed the most winning program in the industry providing incentives for real anglers nationwide. No other contingency program recognizes such a broad selection of events in so many places. Thousands of events qualify for contingency payments. Check our website, www.skeeterboats.com, for the most complete list of Contingency Paying Events. A printed list of Contingency Paying Events may be requested by calling Skeeter Boats Real Money Headquarters at (903) 983-5657. More Money in More Places makes Skeeter the leader in tournament fishing contingency postings. 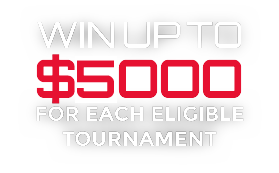 $3,000 = Fish & Win a Contingency Paying Event using your 2019 Skeeter Boat powered by a 225 horsepower Yamaha engine or larger and you will be eligible for $3,000 for a Win*. 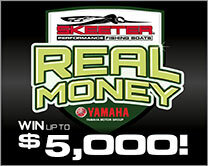 $1,000 = Fish & Win a Contingency Paying Event using your 2019 Skeeter boat powered by a 200 horsepower Yamaha engine or a 2018 Skeeter boat powered by a 225 horsepower Yamaha engine or larger and you will be eligible for $1,000 for a Win*. Catching more fish isn't the only reward! Grassroots anglers compete at all levels and win big. These anglers are a family, and we do our best to make sure that once a person owns a Skeeter they’ll be in our family for life. Winning the most while fishing the best keeps getting easier! Real Money Program dates are from January 1, through December 31, 2019. To be eligible for incentives you must register prior to participating in a Contingency Paying Event. This promotional offer is void where prohibited or restricted by law. Skeeter reserves the right to change or cancel this promotion at any time.